Protein complex analysis involves extensive interpretation of the structure and function of proteins, which are present in complex biological samples. Due to this, techniques like protein complex analysis have great value in understanding the complex organisms. Though recent protein complex analysis methods are efficient in identifying the structure and of protein complex, there are some limiting factors. Some of the factors that affect protein complex analysis are serum proteomics, the presence of membrane protein in proteome, complexity, etc. Much of the research is being performed to enhance the protein complex analysis process, which includes identifying whether the complexes are suitable for being modulated efficiently by small molecules. Some of the most common challenges that affect the protein complex analysis are discussed below. 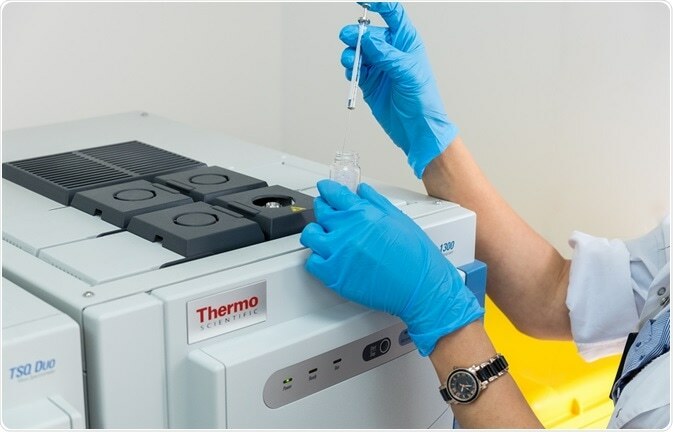 One of the main challenges faced during the protein complex analysis process is the development of compounds that interfere by acting on protein complexes. In some cases like those involving ion channels (considered as the reliable target class earlier), the process of directing the compounds against individual proteins has not been possible whereas hist is implemented in many other cases. Simultaneously, several compounds have been identified, which act on alpha subunits involved in pore formation. Some of those compounds are successfully implemented in clinical studies, which is mainly due to their critical side effects and lack of specificity. Many compounds that had been developed to act against individual proteins are now being implemented in acting against other targets. Even at present, there exists a misconception that the interference of small molecules with protein–protein interactions is not possible, which is mainly due to the lack of understanding regarding the protein–protein interactions process. Protein interfaces have conformational flexibility in constitutive complex too. Moreover, studies involving allosteric proteins indicate that the ligands are responsible for structural changes that occur at protein–protein interfaces. The binding sites of allosteric ligands are not restricted sterically, which is the advantage, and indicates that they are as efficient as traditional competitive agonist. Allosteric ligands are efficient in developing drugs that can act against protein complexes. The cell-based assays and high-content screening are the techniques involved in developing drugs against protein complexes. The complexity challenge is another factor that affects the analysis of protein complexes. Two important strategies that are involved in resolving these challenges are recombinant approaches and those that are based on native sources. Recombinant approaches, such as tagged protein co-purification analysis and yeast-two hybrid screens, consist of a systematic methodology that makes them reliable to resolve the complexity challenge. Both the aforementioned are based on gene expression from random libraries of yeast. Those methods prove to be inefficient when applied to proteome of simple organism. Half of the interactions are false-positive and interactions that involve membrane proteins are not detected. Approaches that are based on native sources are based on both biochemical fractionation and mass-spectrometric identification. Some of the restrictions in these methods are complex source preparation methods and the amount of sample required. The biochemical fractionation approach is an option for affinity purification based on a protein. Requirement of high affinity ligands is also a limiting factor in these approaches. High sensitivity and mass spectrometry reliability should be efficient as those in recent bioinformatics techniques. Aforementioned limitations restrict the large-scale application of these methods. Nevertheless, better results can be obtained if these approaches are carried out perfectly. Membrane proteins occupy over 30% of the entire complement of protein. Unfortunately, their tendency to get aggregated and get deposited in solid form in a solution restricts their analysis. Tryptic cleavage target residues such as arginine and lysine are not present in transmembrane segments, but are present only in the hydrophilic part of these membrane proteins. Two-dimensional gel electrophoresis is not suitable for isolating these membrane proteins. These challenges can be overcome by various membrane solubilizing approaches that are used in resolving the solubility issues and in the analysis of fractions enriched in membranes. In this method, solubilization is achieved through various processes, such as a fraction of an enriched yeast membrane is subjected to solubilization process in the existence of cyanogen bromide by adding 90% of formic acid solution; a microsomal membrane fraction is subjected to solubilization by boiling it in 0.5% of sodium dodecyl sulfate solution; and by using a sample of enriched membrane in thermal sonication and denaturation processes of proteins in 60% of methanol solution with trypsin. All the solubilization methods discussed earlier are efficient and used in optimization of membrane protein identification process. Human serum contains about 10,000 types of proteins. The large variation in the serum concentration was a limiting factor for biomarker discovery. Human serum concentration contains a high amount of albumin when compared to other protein types but eliminating the albumin may also result in the elimination of other types of proteins such as peptide hormones, cytokines, etc. Various methods are currently used, which are efficient in identifying biomarkers discovered from serum. Some of the methods include 2D-PAGE analysis, SELDI-TOF MS, etc.